In Hearthland our team of professional designers has a great feel for what is trending in kitchen designs today. 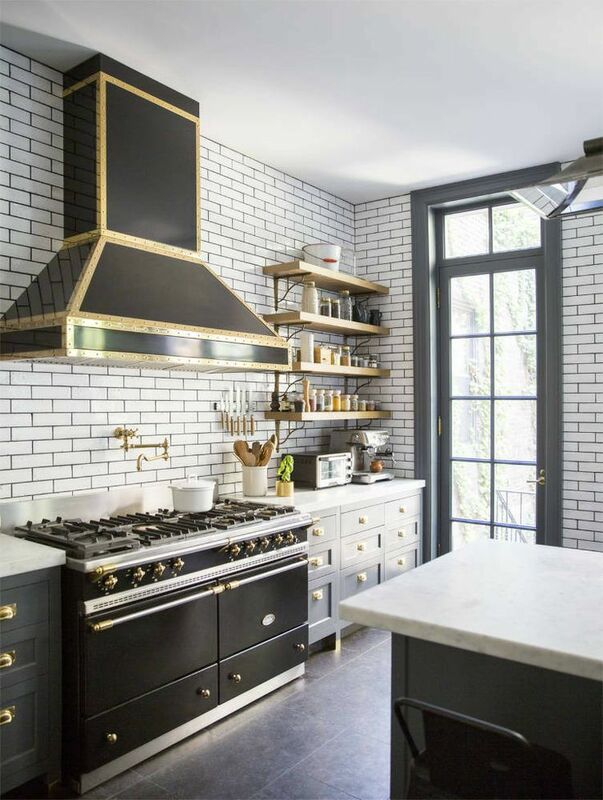 Of course, we all see the Pinterest Inspired kitchens, but these designers are here to give you a look that is Pinterest worthy. Imagine, your kitchen is the look others are chasing on Pinterest! Our designers at Hearthland have narrowed down a couple Kitchen trends that are on the forefront, or new and upcoming for 2019. With these new trends, there is something for everyone. The 2019 trends for cabinetry that our designers have picked are the light and dark tones collaborated. We are seeing white and black cabinets mixed together, bringing in mixed materials or woods and metals. 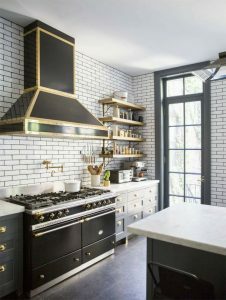 There are also a lot of dark blues being used as accent pieces in kitchens, to break up the all-white trend that has been going strong for the past several years. Have you seen the new styles of appliances that have hit the market? We are no longer limited to high-end kitchen appliances with finishes such as stainless steel, or appliances integrated into the cabinetry. We now have appliances that are bold all on their own, bringing the opportunity for your much-needed appliances to be a piece in your home. We are seeing Matte finished Kitchen Appliances, and Ranges in black and white with gold knobs. Yes, gold, brass, copper is back, those were the metals our designers mentioned mixing in when considered your cabinetry designs.